Eating clean is something I try to maintain, but inevitably I fail along the way. I have every good intention of sticking to a healthy diet, but somehow life gets in the way. And cheesecake. And pasta. I do enjoy my veggies but I also have cravings for not so healthy things. In an effort to balance my unhealthy appetite, I do enjoy going to the gym but it makes me really hungry afterwards. Sometimes a salad doesn’t cut it for me. A recent discovery on The Yum List trail showed me that it doesn’t have to be that way. 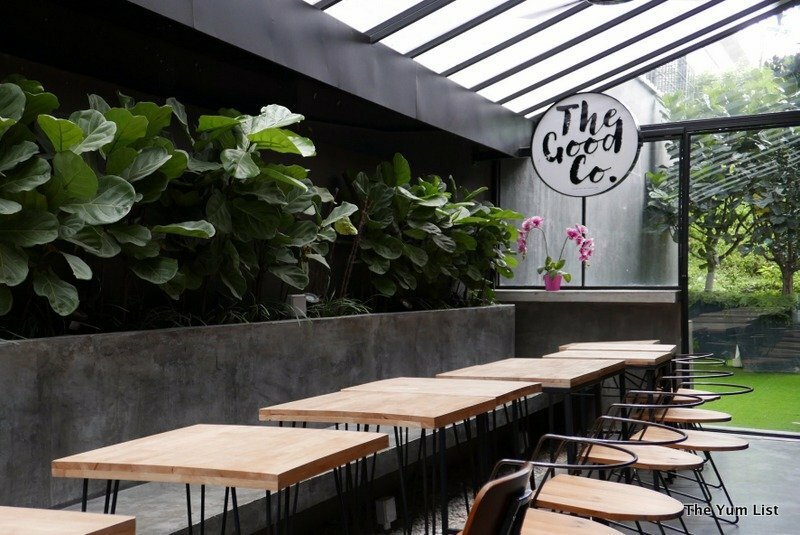 The Good Co., located directly across from Bangsar Shopping Centre in the Bon Estates building, believes in honest food made only with natural ingredients. And the menu is surprisingly satisfying, hitting the spot that stopped my yearning for bad things. 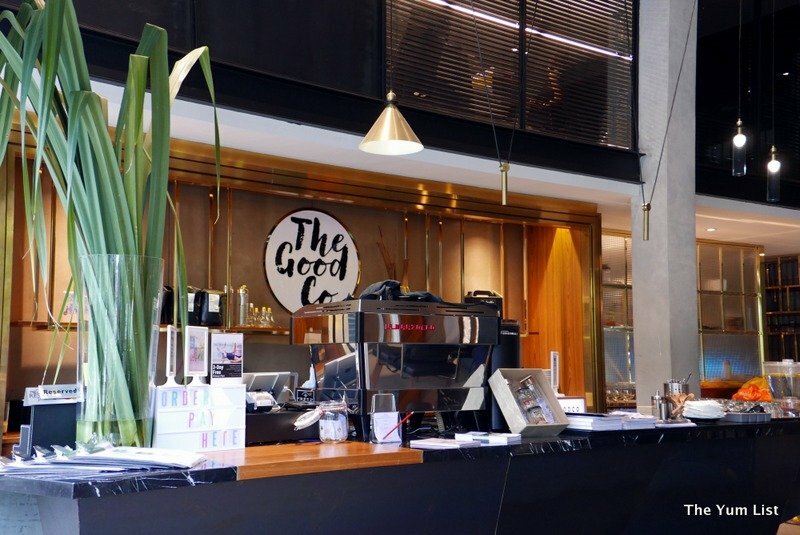 The Good Co. is set in a stylish contemporary space, with lots of natural light pouring through the windows and a thoughtfully designed al fresco area. 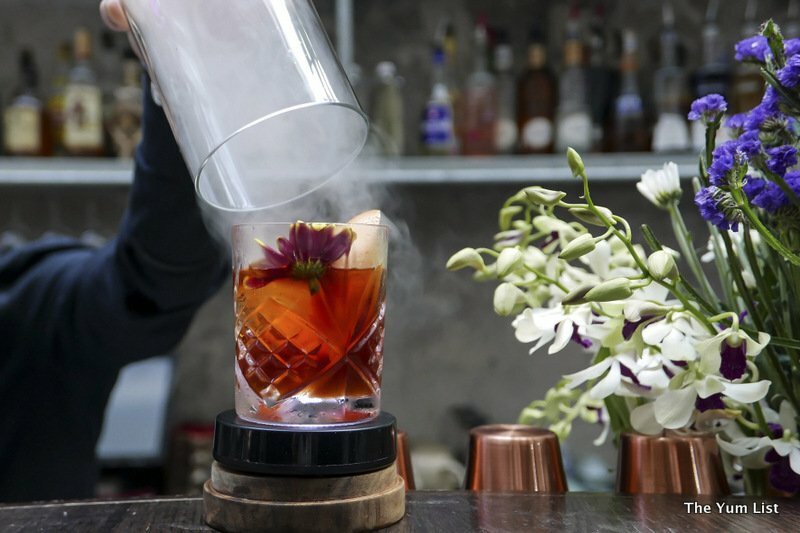 Ambient chilled house music streams through the speakers, setting the scene for a thoroughly modern food experience using the most homely of ingredients. The menu doesn’t include any meat and many dishes are vegan (though not all) but you would barely notice this missing as their exciting dishes tickle your tastebuds. 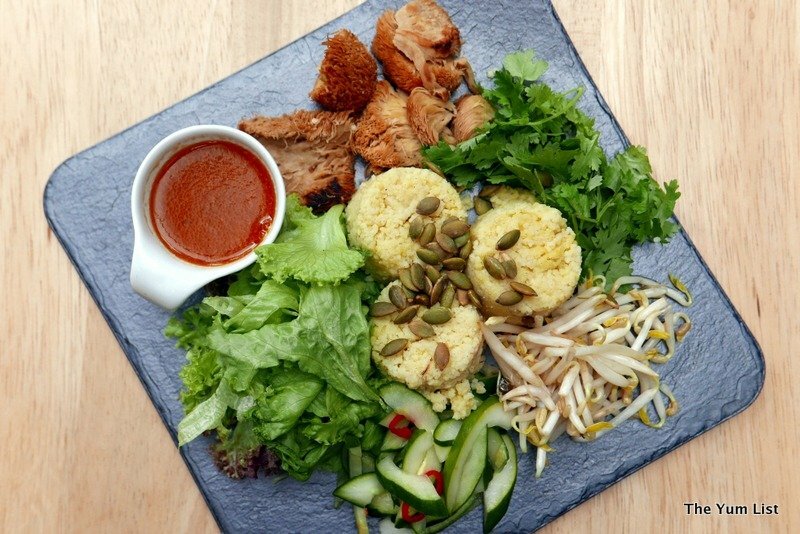 One of my favourite Malaysian dishes is nasi lemak, so we started out on a high with the Blue Organic Nasi Lemak (RM20.90). The presentation of each dish is very appealing, with lots of colour adorning each plate. 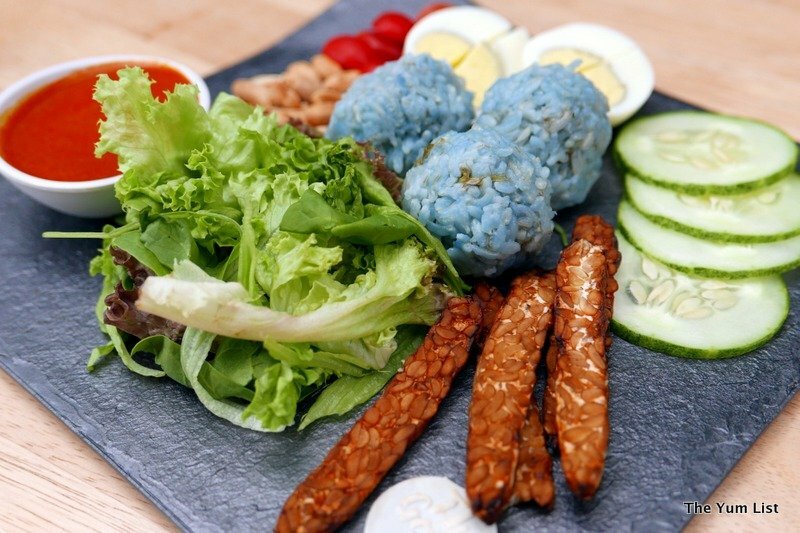 This dish was satisfying but not greasy in any way, with fluffy blue rice balls, healthy sambal and tempeh pieces working in harmony with each other. I’m not a big meat eater so I can’t say that I’m a chicken rice expert, but I must say that the Vegan Chicken Rice (RM20.90) at The Good Co. is one dish I will definitely go back for. I loved the monkey head mushrooms that are so dense and meaty, and I enjoyed the addition of lemongrass millet instead of rice. 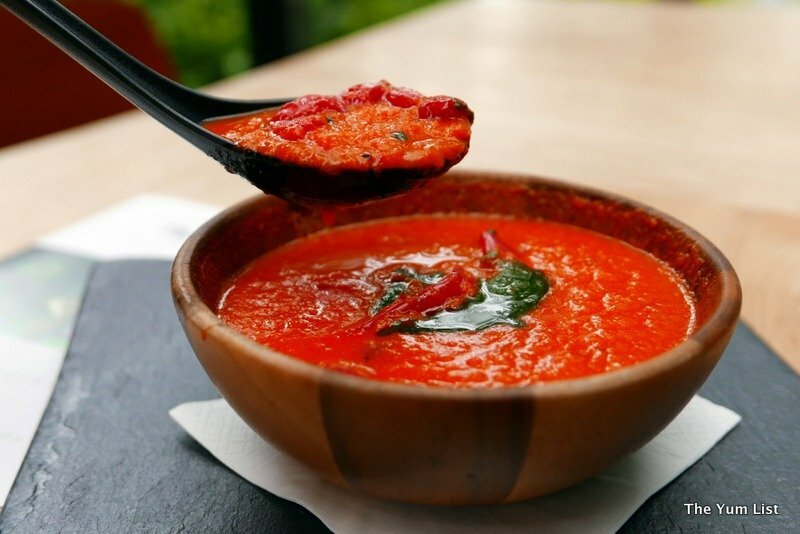 Soup is a staple of many Malaysian menus, but rarely have I tried a soup that is as more-ish as the Tomato Capsicum Soup (RM12 – 14.90) available here. It was an incredibly comforting soup that had a hint of sweetness from the capsicum and was lifted by the homemade pesto on top. 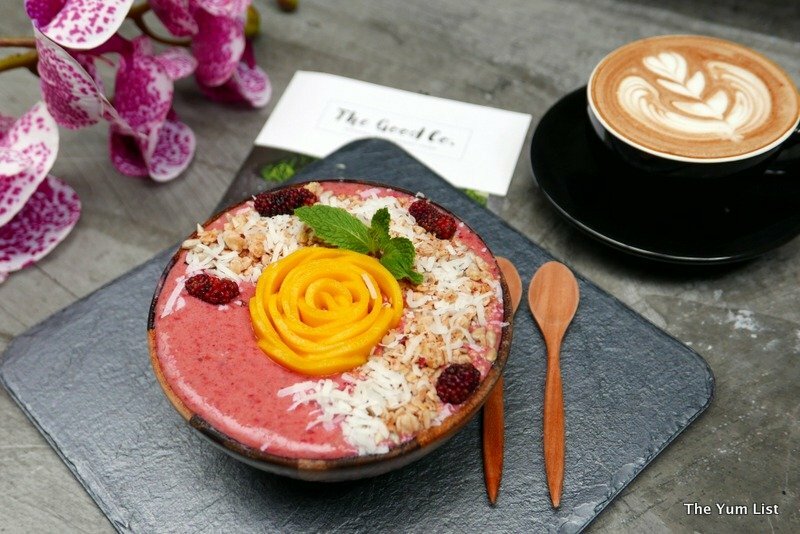 Monica’s dish of the day was the Hot Beetroot Oatmeal (RM18.90), a brightly coloured purple dish where oats have been cooked with beetroot and topped with caramelised apples and bananas, pumpkin seeds, nuts, cranberries and granola. 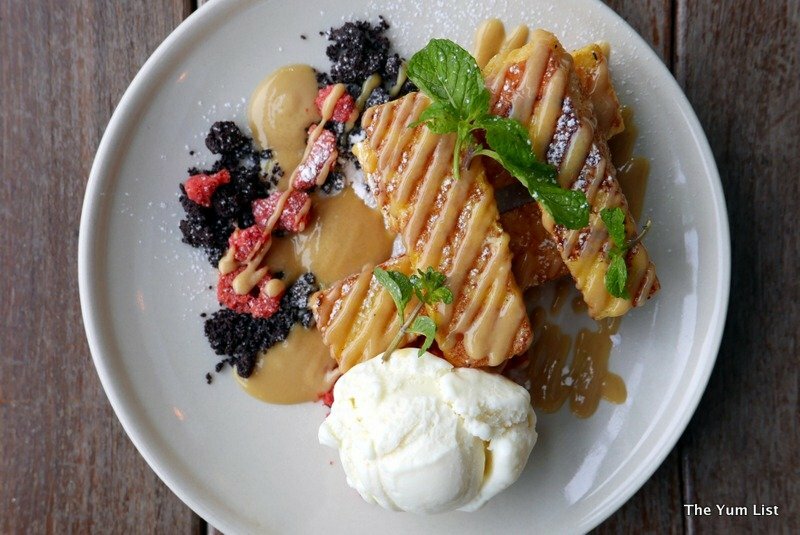 This dish is a generous portion and is a breakfast that will most definitely keep you going until lunchtime. For a healthier alternative, skip the ice-cream and try out The Good Co.’s Hana Bowl (RM28.90) instead. This dish is very Instagram-able – almost too pretty to eat. 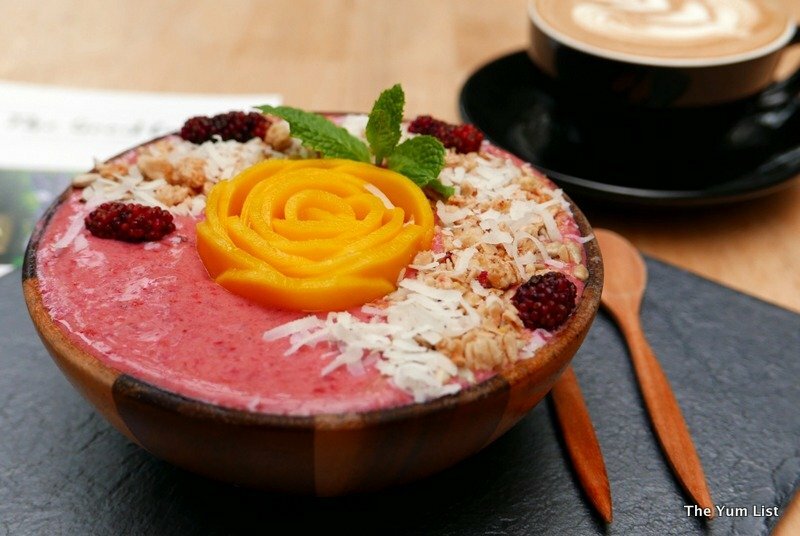 Raspberries, strawberries, bananas and mulberries are blended and topped with a beautiful mango rose, coconut shavings, sunflower seeds, chia seeds, granola and mint leaves. 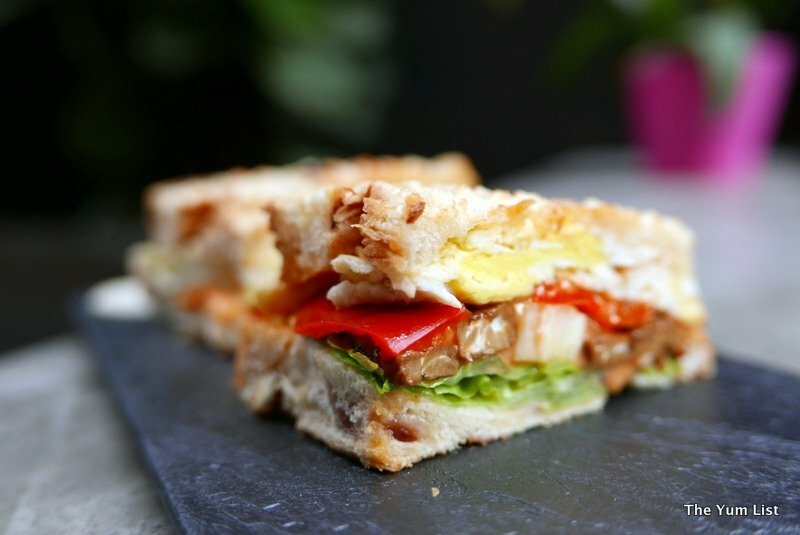 There is a good selection of sandwiches available, all very tempting with interesting combinations. We tried the Hawaiian (RM20.90) made with organic cranberry bread, grilled pineapple, egg, barbecue tempeh, pepper relish, homemade chili mayo and cheddar cheese. This was hard to put down, with each bite releasing different flavours that were very satisfying. A new addition to the menu is the Avocado with Cream Cheese on Rye. This was a simple dish but incredibly tasty – I loved the addition of black sesame seeds, pumpkin seeds and toasted rosemary. I do love my coffee but I’m very caffeine sensitive so I can only indulge every now and then. 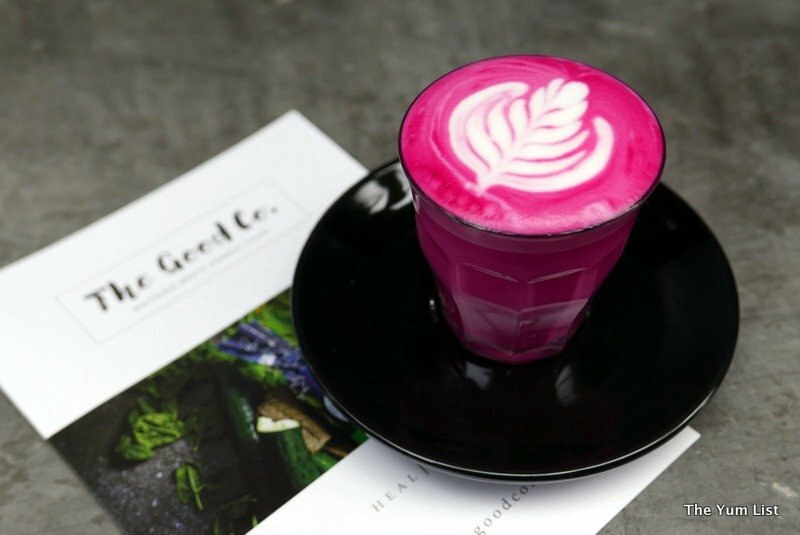 The Beetroot Latte (RM16) is something different that I could see myself getting into. It gives the comforting feel of a coffee without the high calories of a hot chocolate. 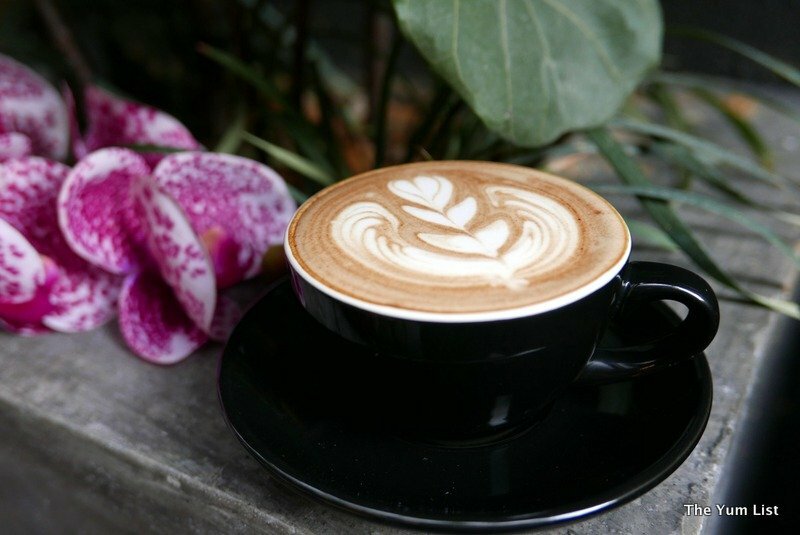 However if you are a coffee lover, you won’t be disappointed at The Good Co. They serve beans by local roaster, VCR, and the coffee is good, very good. We had the Carob Peanut Latte (RM16), which is nutty and smooth. After indulging in several dishes, I felt full and satisfied, but not stuffed and heavy. There are also pre-packed options available at The Good Co. – handy for those on the run looking for a healthy bite to grab and go. 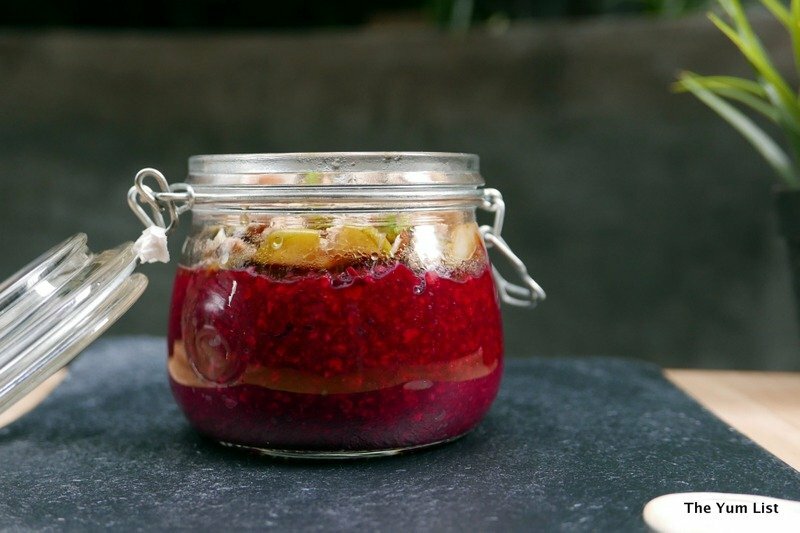 I did pick up a couple of layered salad pots to eat at home on the way out, and I loved them both. 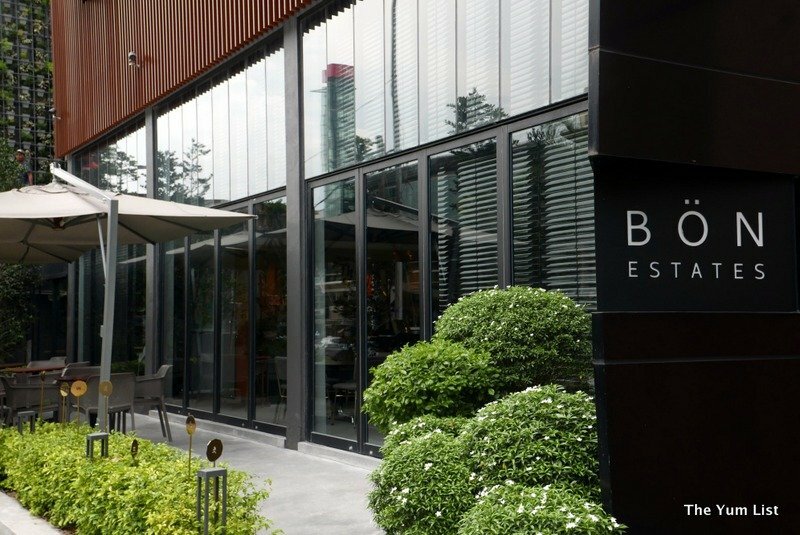 Reasons to visit: Stylish modern space, meat-free clean eating, Hot Beetroot Oatmeal, Vegan Chicken Rice, Avocado Cream Cheese on Rye, the soup… so many great dishes its hard to pick out the best! I would agree, everything looks so pretty! This is too vegan for me. 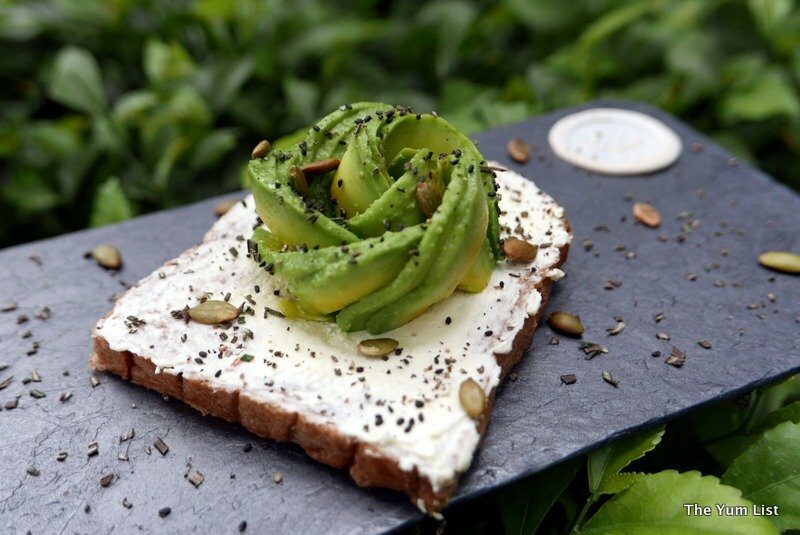 The avocado with cream cheese on rye looks delicious, and the presentations are so pretty! I can’t wait to go there! Everything looks delicious and i so want to expand my carnivorous diet! Looks delicious and photo worthy. I wonder if they do delivery? Why, yes they do! Depends where you live though.